We learn to stop our dog jumping on other people to greet them so that we don’t have furthermore any paw prints on the shirts. We train our dog to sit and stay in these position for a while. and find out how we can get more attention from our dog. 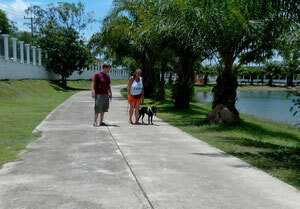 We learn what to do that our dog doesn’t pull on the leash and we train the first steps walking heel. We train our dog to lay down and stay in these position for a while. For the call back training we build up the understanding between dog and owner and cement the relationship of them. We will create some games to keep a walk interesting for our dog and find out how we can get more attention from our dog. 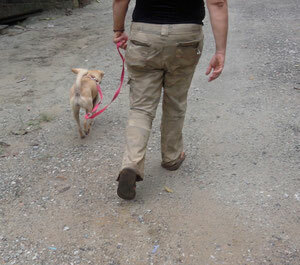 We will do exercises on a long leash and also without a leash in safe areas. We train our dog to lay down and stay in these position. We do different exercises to train the dogs walking heel and use for this different locations.